Here is a list of books about Henry VIII’s six wives. 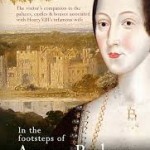 For books which focus on Anne Boleyn, see Biographies. Dr David Starkey is a Tudor historian and an expert on Henry VIII and in this book he gives accounts of each of the six Queens of Henry VIII – Catherine of Aragon, Anne Boleyn, Jane Seymour, Anne of Cleves, Catherine Howard and Catherine Parr.Starkey argues that Henry VIII was not the serial philanderer that many think he was, but simply a man in search of love and a male heir. “The Wives of Henry VIII” by historian, Antonia Fraser, was a New York Times bestseller for over six weeks and is said to be one of the best biographies, if not the best, of Henry VIII’s six wives.Fraser meticulously researched the period and historical characters and includes 32 pages of illustrations and 16 color plates in the book. It is a comprehensive book for anyone who wants to learn more about the six characters who rose to be Queens of England. “The Anne Boleyn Collection” brings together the most popular articles from top Tudor website The Anne Boleyn Files. Articles which have provoked discussion and debate. Articles that people have found fascinating. Written in Claire’s easy-going style, but with an emphasis on good history and sound research, these articles are perfect reading for Tudor history lovers everywhere. “During the spring of 1536 in Tudor England, events conspire to bring down Anne Boleyn, the Queen of England. The coup against the Queen results in the brutal executions of six innocent people – Anne Boleyn herself, her brother, and four courtiers – and the rise of a new Queen. Drawing on sixteenth century letters, eye witness accounts and chronicles, Claire Ridgway leads the reader through the sequence of chilling events one day at a time, telling the true story of Anne Boleyn’s fall. The Fall of Anne Boleyn: A Countdown is presented in a diary format, allowing readers to dip in, look up a particular date, or read from start to finish. Special features include mini biographies of those involved, a timeline of events and full referencing. The Anne Boleyn Collection II is fully referenced, with chapter notes and bibliography, and includes over 40 illustrations. Amazon blurb: Part biography, part cultural history, The Creation of Anne Boleyn is a fascinating reconstruction of Anne’s life and an illuminating look at her afterlife in the popular imagination. Why is Anne so compelling? Why has she inspired such extreme reactions? What did she really look like? Was she the flaxen-haired martyr of Romantic paintings or the raven-haired seductress of twenty-first-century portrayals? (Answer: neither.) And perhaps the most provocative questions concern Anne’s death more than her life. How could Henry order the execution of a once beloved wife? Drawing on scholarship and critical analysis, Bordo probes the complexities of one of history’s most infamous relationships. In the Footsteps of Anne Boleyn – On the morning of 19 May 1536, a French blade stilled the heart of an English queen. Her name was Anne Boleyn and her story has made an indelible mark on history. This book will take you through stately homes, castles, chapels and artefacts with a connection to Anne. Explore Hever Castle, Anne’s childhood home where two breathtaking Books of Hours both signed and inscribed by Anne Boleyn herself are housed; visit Thornbury Castle where Henry VIII and Anne stayed during their 1535 royal progress and see the octagonal bedchamber where they slept; stand in the very room in Windsor Castle where Anne was made Marquis of Pembroke. Each location is covered by an accessible and informative narrative, which unearths the untold stories and documents the artefacts. Accompanied by an extensive range of images, including photographs, floor plans and sketches, this book brings the sixteenth century vividly to life – and takes you on your own personal and compelling journey in the footsteps of Anne Boleyn. The above links are all Amazon US links, but all the books are also available at Amazon UK – click here to go to our special Amazon Anne Boleyn UK page.